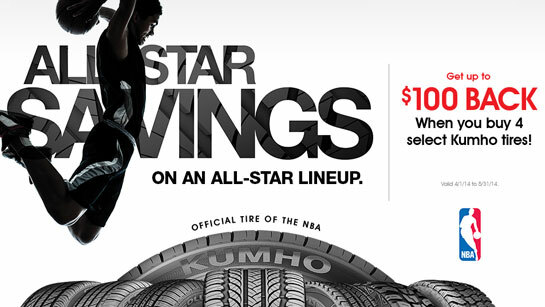 Receive up to $100 Visa prepaid card by mail when you purchase a set of four Kumho Ecsta LE Sport, Road Venture MT, Kumho Road Venture APT, Road Venture AT, Solus KL21, Kumho Ecsta LX Platinum, Ecsta 4X or Kumho Ecsta PA31 tires from April 1st, 2014 through May 31st, 2014. 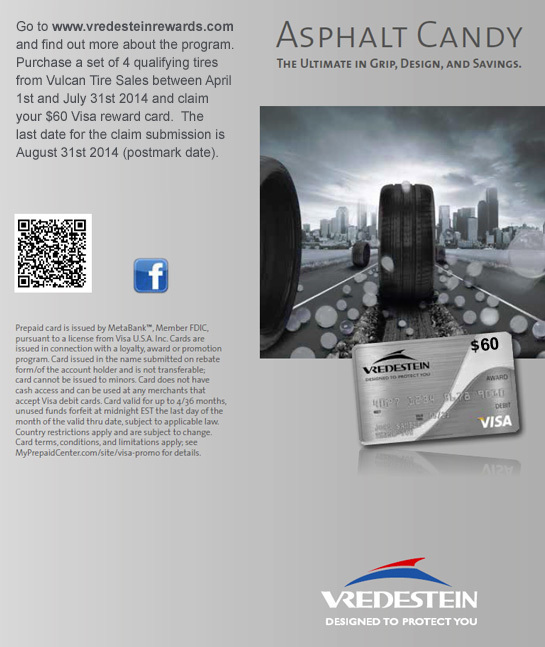 Receive a $60.00 Visa prepaid card when you purchase a set of four Vredestein Ultrac Sessanta, Ultrac SUV Sessanta, Ultrac Vorti, or Ultrac Vorti R tires from April 1, 2014 through July 31, 2014. 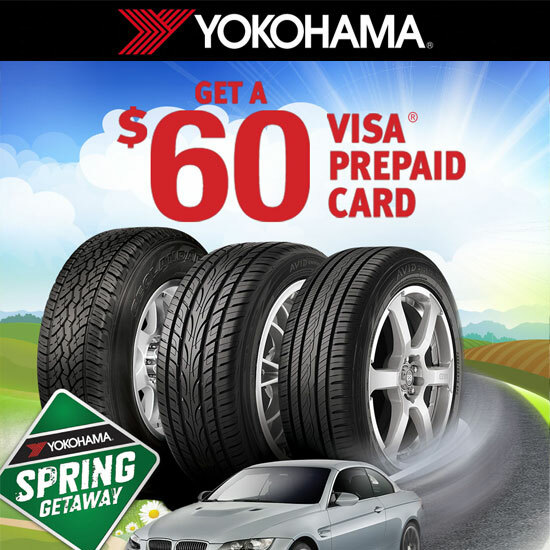 Get $60 Back by Mail with the Purchase of four Yokohama Geolandar H/T-S, four AVID Ascend or four AVID Envigor tires from April 1, 2014 through April 30, 2014.